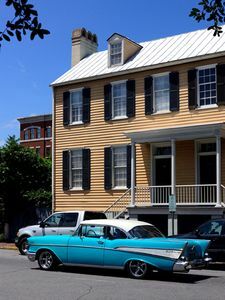 If you have been planning a trip to historic downtown Savannah, but don't know where to start looking for Savannah rentals, then let us at Southern Belle make the process easy. 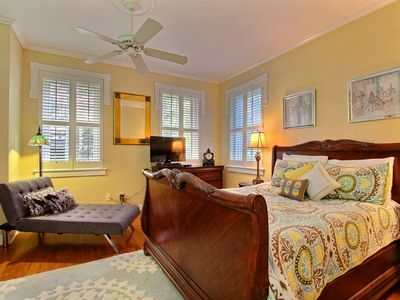 We have a wide range of downtown Savannah vacation rental properties that will fit any business or pleasure vacation. 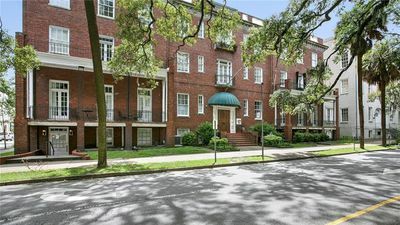 Take a look at our Savannah homes and find the perfect one for you. 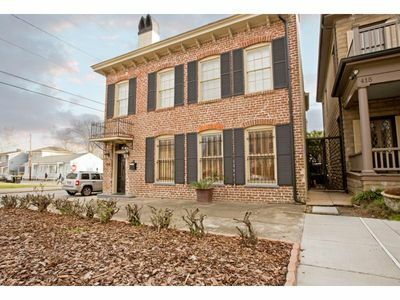 One amazing downtown Savannah vacation rental property located in the heart of historic downtown Savannah is called the Liberty Street Retreat. 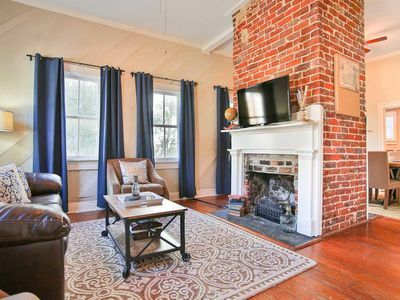 One of our most picturesque Savannah rentals, the Liberty Street Retreat has spectacular views of moss-entangled oak trees and all the charm of the Old South. 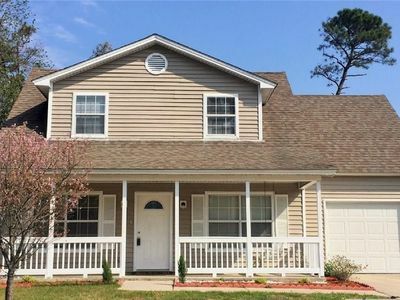 One of our many Savannah homes that is within walking distance to everything, this is the perfect spot start exploring the local area. 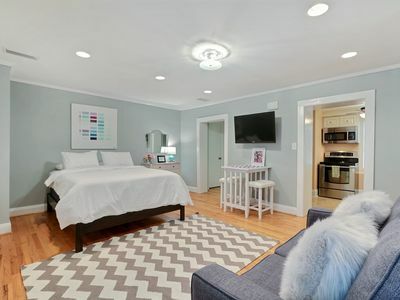 The Liberty Street Retreat sleeps four in two bedrooms with two bathrooms. It has flatscreen TVs throughout, a washer and dryer, full kitchen, Wi-Fi and central heat and AC. 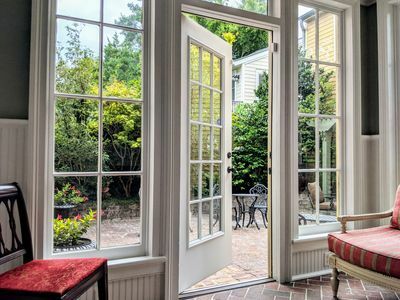 Enter this downtown Savannah vacation rental and enjoy the privacy of the sheltered patio with an ornate patio set lending charm to the scene. Inside, you can relax in the living room with a plush white throw over the hardwood floors and plenty of seating around the TV. Pastel walls and lamps lend ambiance. Over to the full kitchen, a white theme awaits, as well as plenty of cabinetry and a unique eating bar out of the way of the cook. All appliances such as coffee maker, microwave, tea kettle and toaster are available. Cooking equipment and utensils are also provided so you can bring home the local tastes and cook up a great meal. 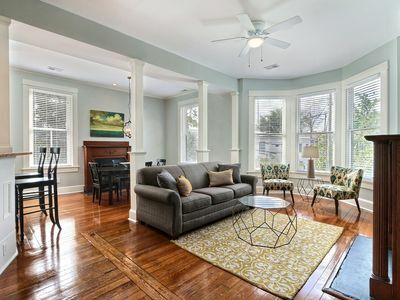 Not all Savannah homes include a foyer with antique writing desk, but this one does. 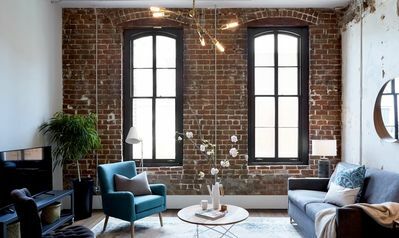 Sit down and make your notes or itinerary for your day in historic downtown Savannah as sunlight streams through the full-length glass door leading outside. In both bedrooms you will find a queen sized bed including a headboard, as well as sitting areas and a TV. Both bathrooms are full bathrooms and are tastefully decorated in neutral colors. 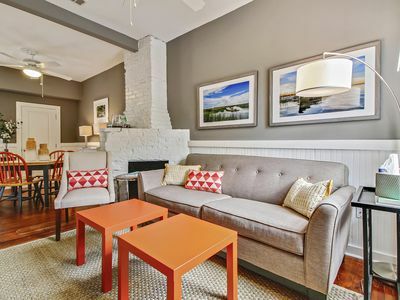 This gem among Savannah rentals provides you with the comfort and relaxation you need while in, but gives you the ease of being within reach of all that Savannah has to offer. 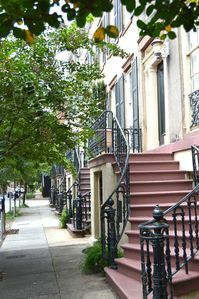 When you are ready to start exploring historic downtown Savannah, you can simply step outside your door and start walking. The Liberty Street Retreat is located on East Liberty St with easy access to Broughton and State Street. 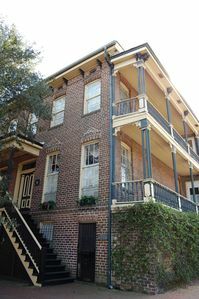 Close nearby is the Telfair Museum Store and Owen Thomas House historical landmark. Unique eateries such as Moon River Brewing, The Lady and Sons and The Pirates' House are also right down the street. If you want to explore the most of the downtown in one go, take the Old Town Trolley Tour. If you want a great outdoor day excursion, take a trip to Tybee Island and explore all the beaches and walking trails. A 10 minute drive from the downtown area will get you to the Savannah National Wildlife Refuge where you can observe alligators sunning themselves as well as birds and other wildlife. Golf, kayaking, boating and fishing are just some of the outdoor activities you can enjoy. 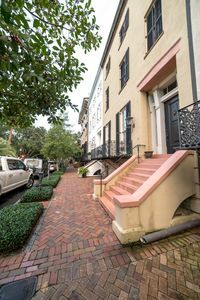 You could spend a lot of time looking through all the Savannah homes to rent, but why do that when you can call us at Southern Belle and find your perfect downtown Savannah vacation rental? 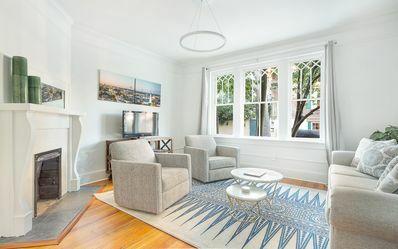 Book one of our amazing homes and start planning the rest of your Savannah vacation without worry. Renting homes from Southern Belle is painless and professional. We take credit cards and require a $300.00 deposit to confirm the booking which is applied towards the remaining balance. For example, if your total is $1,500, we will take a $300 deposit and your remaining balance will be $1200. Thirty days prior to your arrival our booking software will charge the balance automatically. We also sell Traveler`s Insurance which covers medical cancellations. 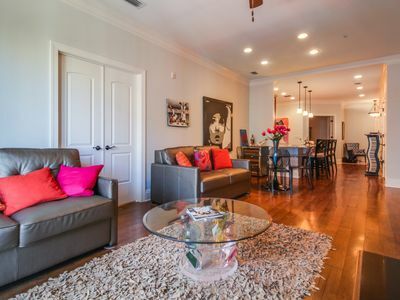 Elegant condo with a balcony, close to the river in the heart of downtown! Stay with Lucky Savannah: 4 Luxury Suites at The Grant Collection, Sleep 30!